This is a note on the esoteric significance of our moon and how lunar phases correlate with hyper dimensional attack and the matrix control system. Much of this knowledge has been suppressed or corrupted/distorted. The moon has tremendous influence on humanity in ways the vast majority has no awareness of. During any new/full moon (and in particular at eclipses), portals and dimensions open up, making it easier for hyper/inter-dimensional beings to cross realm boundaries. This ties into what Gurdjieff meant by stating that humanity is “food for the moon”. I caution to engage in any form of moon rituals in light of the “topic of all topics” , i.e. the hyperdimensional control of humanity and how the moon relates to it. My own observations, experiences and research into the occult significance of the moon has been confirmed by a shamanic/psychic healer woman I’ve been working with over the past few years and learned a lot from. One of the very interesting things she said is that many people engage in “Black Magic” involuntarily when participating in Full Moon/New Moon rituals, despite their well-meaning intentions, creating “traps of agreement” and openings/portals for negative entities to come through (posing as “positive” ones), especially when worshiping the moon (given away their power), or attempting to “channel” or connecting to/calling in anything (entities, deities, angles, guides) outside themselves. Another shaman I had worked with in the past cautioned to do any “medicine” ceremonies during a full moon. Ties into the neo-wicca/pagan practices and distortion of these rituals and teachings as well, including the corruption of astrology over thousands of years. Lack of awareness of the Hyperdimensional Matrix Control System when practicing occult/pagan rituals is just asking for trouble, kinda like playing hyperdimensional Russian roulette. 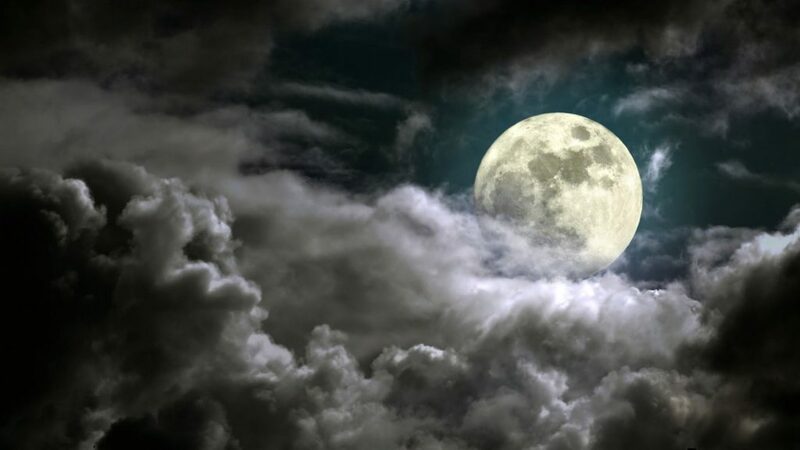 In ancient times the Moon has caused indigenous cultures around the world to create special ceremonies for its presence – not to celebrate it, but to protect themselves from its dark influence. Most of these practices and this knowledge have been suppressed and corrupted – even turned into its opposite as mentioned above. 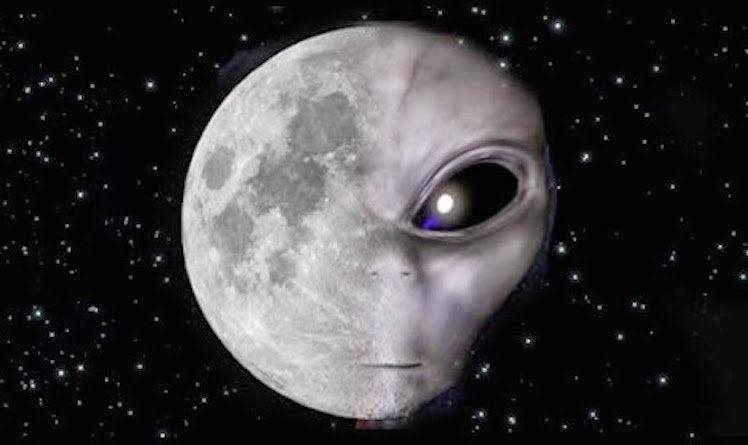 In far ancient times (nothing to do with the lies of official history we’ve been programmed with), we didn’t’ have our present moon but it “arrived” later as part of the lock-down of the Matrix Control System by alien occult hostile forces as a transmitting loosh-generating/feeding control device. Having said that, the moon also plays a “teaching function” from an esoteric perspective (just as the occult forces do) in the bigger picture of soul evolution and the process of awakening. As always: Knowledge protects. Ignorance endangers. This topic can trigger (or be dismissed easily by) many people who are very attached to the “romantic” (distorted) view of the moon (including the corrupted idea that the moon represents the Feminine) and/or are not familiar with the Hyperdimensional Matrix. “As a cell of organic life on Earth, man plays a part in the development of the Ray of Creation. The vivification of the Moon, that cosmic foetus, is one aspect of this development. This requires considerable quantities of energy, which is produced in particular by the human part of organic life. Illusion, which plays such an important role in the waking consciousness of man, was introduced into that state so that he would accept this aspect of the cosmic work, participating in it without rebellion. If we become conscious of this situation and desire to escape it, we must conceive and create a screen which will protect us against this devouring influence of the Moon. We must meanwhile guard against falling into Illusion again by erecting a false screen; the result would be an aggravated waste of these forces instead of an economy of force. The quantity of force necessary to genuinely oppose the influence of the Moon is already considerable. The first imperative, then, is to stop wasting these forces, to turn off the taps which let the energy escape uselessly: sterile emotions, in particular negative emotions; fantasies from uncontrolled imagination; uncoordinated mental gymnastics, gossiping and chattering. We must thus act like a wise minister of finance and carefully economize our energies, yet without all the time sterilizing either our activity or our intelligence. On the contrary, we must store and as far as possible augment these forces to build up our reserves. These are the two main aspects of the first objective we have to attain. The Moon’s passive energy arises from solar energy. It reflects this, but not without a transformation as its own nature. … Unlike the Earth, the Moon does not have a direct organic link with the Sun. Being a satellite, it depends directly on its planet, and it is only through the latter’s mediation that it enters into relation with the Sun. One of its essential roles is to reflect solar energy onto the Earth’s surface in a form modified by reflection as described above. This also leads to qualitative and quantitative variations that depend on its phases. These changes do not prevent continual reverberation, due to the fact that the Moon always presents the same face to Earth, as the duration of its rotation around itself and around our planet are both the same. “[…] I realized Gurdjieff was being completely literal when he said we are food for the moon. Anyone who becomes aware of the lunar influence will see how people all around sway to the lunar influence like reeds to the breeze. Twice a month, what I term the “Matrix Control System” opens its maws and draws in a torrent of emotional energy from all those susceptible to the lunar influence. Second, because other realms become temporarily more accessible, occult practices become more effective. Invocations, psychic warfare, scrying and remote viewing are assisted during such times. This most greatly assists those darker forces who rely upon remote viewing of probable futures and psychic attacks to stalk and ambush their prey. It is no secret that hyperdimensional attacks, which are acts of spiritual warfare, are directed at a target’s weakest spots at the weakest moments. That is simply a matter of efficiency and logistics. Astrology is an important part of determining this timing because the realm dynamics between attacker and target are greatly influenced by celestial alignments. Different alignments impress upon a given location different spectra of vibrations which in turn resonate corresponding elements within the souls of individuals in the vicinity; the manner in which they vibrate pulls from reality a corresponding set of experiences and learning lessons. Certain vibrations correspond to learning lessons involving confrontation, violence, and attack, and it is when these vibrations are strongest for an individual that astral and hyperdimensional attackers find it easiest to fulfill their role in his experiences. “After ten months of observation back in 2004, I concluded that moon phases and periods of hyperdimensional attack are highly correlated, enough so that one can predict them. By knowing cycles, one can become free of them. See if the moon chart correllates with anything in your life – if so, you can know what days to be extra alert. And remember, alert does not mean paranoid. …paranoia will destroy ya. But what can be predicted can also be controlled. In this case, through awareness between myself and a few others, we have been able to head off one attack attempt – that was an act of using cycles and knowledge of precursors to win the battle before it began. The dark works in darkness, and shining the light of awareness into these dark paths renders them useless as sneak attack routes. “[…]The Sun Gate calendar does not reflect our present day calendar. It is a calendar of the Earth with another moon, at a time at least twelve thousand years ago, before great cataclysms changed the Earth rotation period and also its orbital angle. This was a time period, that is usually called the Atlantean period, when a highly advanced civilization had spread across the globe, erecting sophisticated cities and large buildings and other constructions out of multi-ton stone blocks fashioned by technology that was advanced but different from what we have today. These cataclysms were tremendous, causing major floods and tsunamis all over the Earth, destroying all the coastal cities. Many of them are now underwater, some have been found in recent decades, like Yonaguni in Japan. There were also major earthquakes, and major reshaping of the surface of the Earth. Teotihuacan was only one of these ancient cities. From recent excavations, we now that it was once a costal city, as ruins of its sea port have been found nearby. A major tsunami must have leveled all of it, as evidenced in nearby Puma Punku. 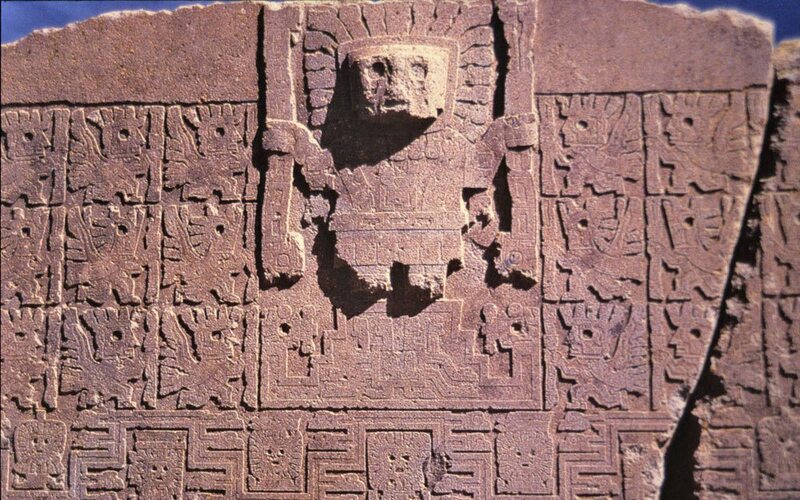 The Puma Punku buildings were made of immense large multi-ton stone blocks that are now scattered around. It was originally thought that earthquakes were the reason for this, but building blocks have also been found buried under several feet of dirt, in one direction away from the original site, suggestion a forceful tsunami, that not only destroyed the entire area of Tiahuanaco but covered it with silt up to six feet deep.How is it possible that a city once being a sea port, is now at 30,000 feet (3,850 meters) high? The answer lies in the sudden rise of the land. In other words, the Andes mountains are the result of an immense rising of the land during those cataclysms. What could have been the reason for not only world wide immense geophysical changes, but also for a change in the rotation period and angle of the Earth? One thing is for certain. In the time period of Atlantis, we did not have our present Moon. There was a much smaller moon orbiting around the Earth as is evidenced the Sun Gate calendar. Our present day Moon arrived about twelve thousand years ago. That alone would have had a great impact on Earth because of gravitational forces. The Moon cannot be a natural moon of the Earth because it is too big for the size of planet Earth. It can only be a moon of a much larger planet like Saturn, Jupiter or Neptune. The Moon is actually a small planetoid. How it ended up in an orbit around Earth is a question of debate. It might have happened when the former fifth planet exploded, and created havoc in the solar system, upsetting almost all the other planets, drastically changing their axial tilts, their magnetic fields, their orbits around the sun and so on. So the Moon might have been hurled away and it ended up around Earth. However there are too many signs that the Moon, wherever it came from, was placed around the Earth in a carefully planned orbit. The reason for this are features that are very exceptional in a natural formation of a solar system. The Moon rotation around the Earth is the same as its rotation around its own axis, thus always facing the same side towards the Earth. The distance from the Earth causes sun eclipses, where the diameter of the Moon is exactly the same as the diameter of the sun, as seen from the Earth. “The heat of the Sun warmed my skin and sank into my muscles and bones. As the fiery pulsations of light radiated from the star, I harmonized my breath, my entire existence, with its rhythm, which drew me into its furnace of cosmic comprehension. When there was no differentiation between the limits of my body-mind and the radiant matrices of solar light, I entered its labyrinth of lens-like crystalline chambers and returned to that from which I came. Quenched in this reunion, I moved beyond the Sun and found the container of my consciousness floating above it in a silence that was absolute. I drifted in a sea of potentiality. There was neither the passage of time nor the absence of its passage. A starry display before me, I beheld the courtship of creation between the Sun and Earth. Liquid gold fractals of geometric energy formed an unremitting arid endless transmission of light-code Intelligence pulsing in orgasmic spherical waves from the Sun, generating the photonic matrix of creation, cascades of primal data rippling out to Earth’s bio-spheric aura. A responsive shiver of energy emanated from Earth, an egg-like receptive embrace which integrated the electric seed impulse of the Sun’s attentions, a womb from which all cosmological solar transmissions were birthed into time and space. This sacred communion formed interference patterns of geometries that nested seamlessly, morphing, birthing ever more dense fields of manifestation. The life mandate, entering the bio-spheric membrane of Earth, descended into the crystallization of matter, translating light’s subtle impulse as life forms that walk, fly and swim, clothed in fur, feather and skin… trees, flowers and shimmering wings; Earth interpreting the love from her Sun as the living poetry of form and feeling, color and sound. Into the ratio of this symbiotic relationship was the peripheral but essential influence of other planets through whose presence within this solar system the symbiosis of evolution was coded. It was then that I felt the discordance. It reminded me of every negative response, thought or feeling that I had ever experienced within the scope of my life as a Human. I felt from behind me in the shadows of space, a transmission; a contorted mutant influence. Its invasive presence permeated the sacred communion I had witnessed, downgrading the resonant tantric harmonic created by the two potencies of creation transmitted and received by Earth and Sun to that of a lesser frequency, disrupting the sacred order of evolutionary embryogenesis, and instead, birthing a deformed fetal paradigm, creating a field of diffracted frequency around the planet in which all living units of circuitry collectively transmitted the electromagnetic consensus of a mortal realm, a cocoon of belief in which the dormant immortality of Humanity never finds its wings, but dies over and over again. 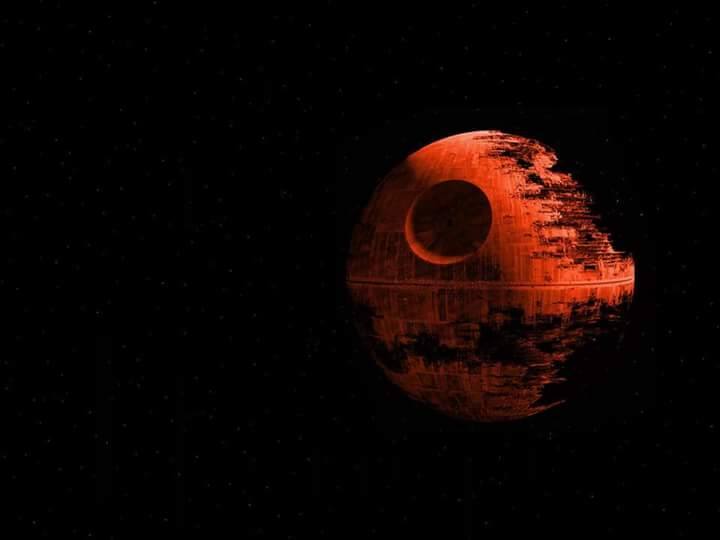 I understood that this imposter within our solar system has brought death to Earth, showing only one face, keeping its dark side in the shadows. Its ultra-magnetic field instigates the dualistic infrastructure of conflict that has, in the living memory of Humanity, torn the world apart. It stabilizes the genetic mutation of the divine blueprint of all life forms on Earth, perpetuating the disconnection of core circuitry that would allow for the reciprocal communion of life with the Source of its Creation. … so I’m being told that this object, this false satellite, this un-natural invader, this manipulator of consciousness, is somehow connected in any way to Gaia’s innate wisdom and beauty, that it is somehow an avatar/symbol of feminine/goddess energy (gotta love patriarchy! ), that its influence over the female reproductive cycle is a natural and positive event, that it is a synergistic aspect of our planet’s holistic biosphere to which we might offer up intentions and prayers of manifestation, that it is somehow a part of our lives that is to be worshiped or appreciated in a way that gives it power and influence? Sorry folks, but that strikes me as the very definition of…. (wait for it)…Lunacy.